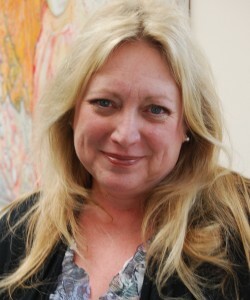 Deborah moved to Santa Fe to teach at Southwestern College in 2002. She has been the Chair of the Art Therapy/Counseling program since 2006. 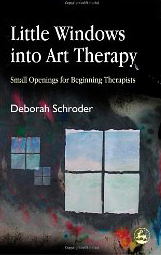 She received her undergraduate and graduate degrees in art therapy from Mount Mary University in Milwaukee, WI where she developed her career as an art therapist, working in a wide variety of settings. She also taught in the undergrad and graduate art therapy programs at Mount Mary. Since moving to New Mexico, Deborah has shared her passion for helping students explore who they are as humans and as new therapists. 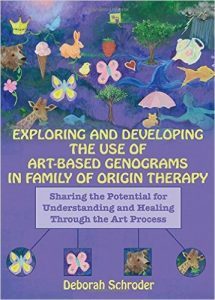 Part of that excitement led to the development of both of her books, Little Windows into Art Therapy: Small Openings for Beginning Therapists, and Exploring and Developing the Use of Art-Based Genograms in Family of Origin Therapy. She continues to be moved by using art to help people connect with the people and places that they have come from. She believes that by using symbols and metaphor, the intergenerational flow of family beliefs, family secrets, ancestral strengths and sometimes multigenerational trauma, can emerge visually, linking our current lived experience to important ancestral, familial stories. She loves teaching and her love for the field of art therapy has only grown over the years. Her not-so-secret agenda is to encourage her students to fall in love with art therapy. She has enjoyed presenting workshops and lecturing internationally and has presented in Northern Ireland, Greece, England, Portugal and Italy. 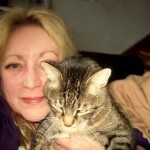 She is an active member of the American Art Therapy Association. Here in New Mexico she serves on the New Mexico Counseling and Therapy Practice Board, and also serves on the Board of Directors for CASA, Court Appointed Special Advocates, First Judicial District. She does try to practice what she preaches, in terms of deeply knowing that most of us are more able to stay in balance and find our center when we find time to make our own art. She holds onto the fantasy that someday she’ll get back to doing some silk painting in her “spare time.” In the meantime, painting and collage happen at home when her cats let her have the dining room table.